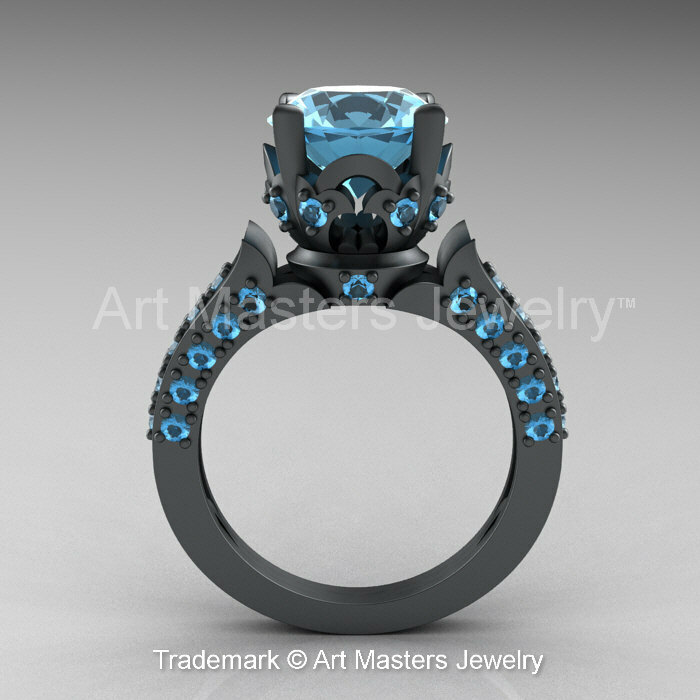 Heavenly, luxurious and rich, the new Classic French 14K Grey Gold 3.0 Ct Aquamarine Solitaire Wedding Ring Wedding Band Set R401S-14KGGAQ by Art Masters Jewelry evokes glamour and elegance is sure to please the most discriminating feminine taste. 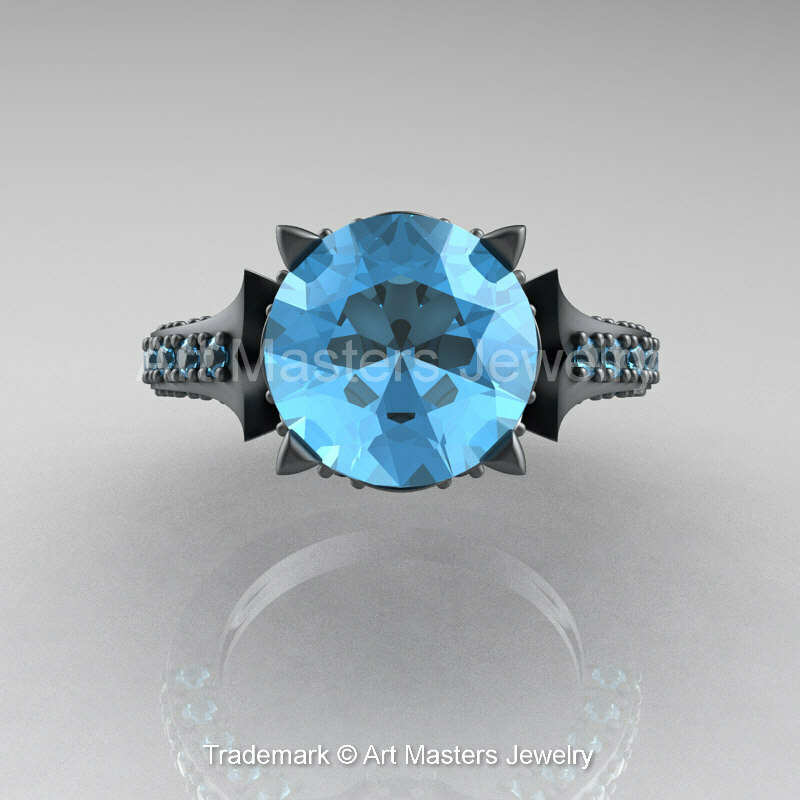 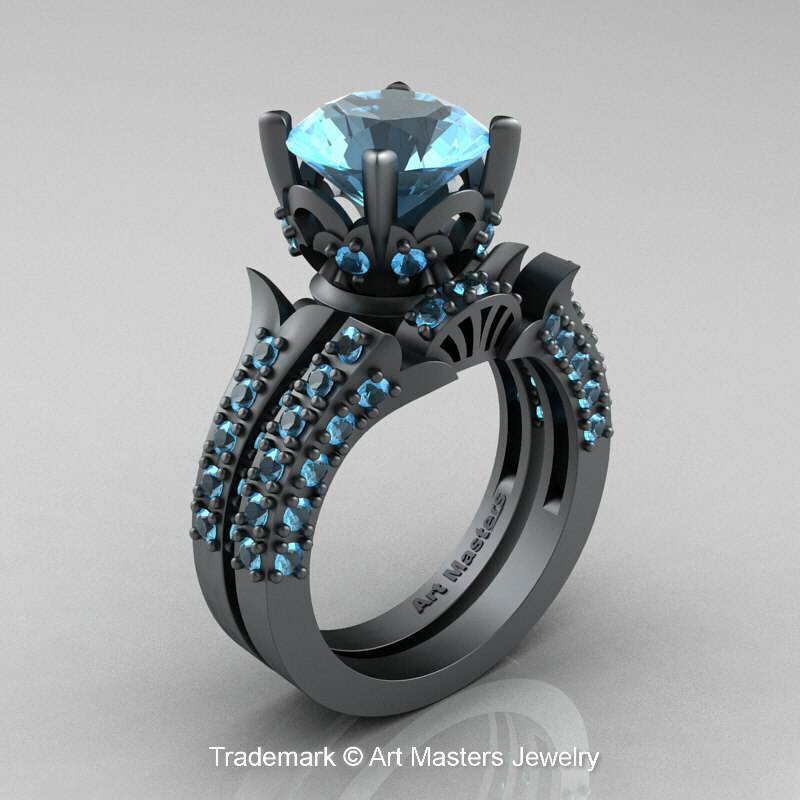 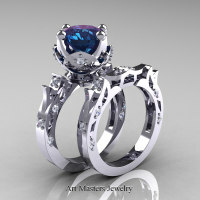 Benchmark color style first introduced to bridal jewelry category by Art Masters Jewelry Inc. 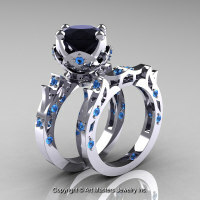 This ring is a designer exclusive high-end jewelry piece and is not for intensive daily wear. 14K Grey Gold (Italian grey gold matte rhodium coated over 14K solid white gold) will wear off in about 2 to 4 years of wearing or sooner depending on how intensively you wear it, making your ring look exquisite vintage by exposing solid white gold base on the edges and flat surfaces. 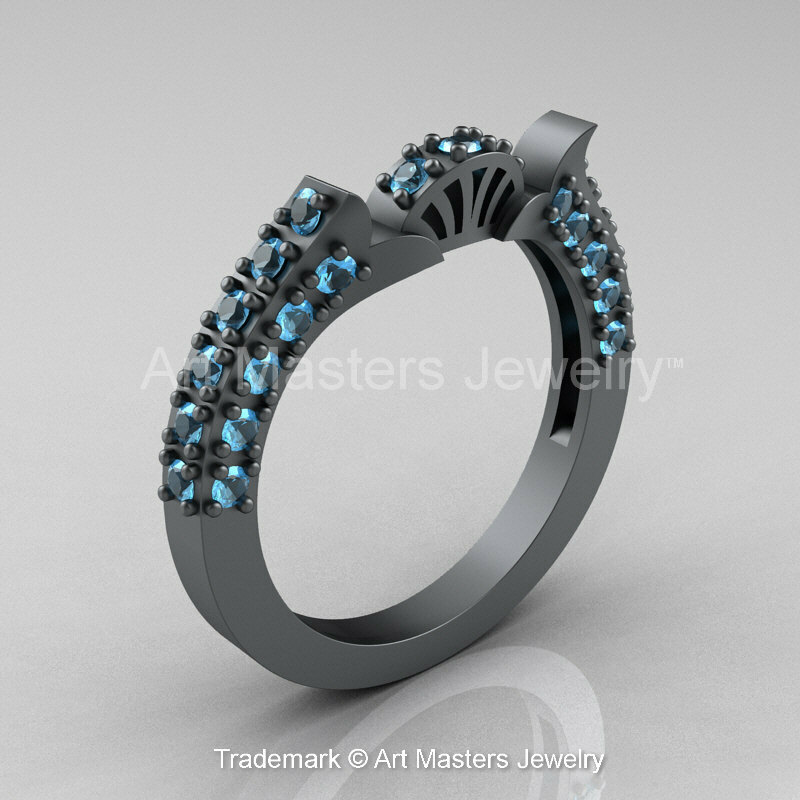 Grey gold matte rhodium reapplication is not necessary, however if desired, I provide one time recoating on all designer 14K Grey Gold rings for my customers free of charge within 5 year period. 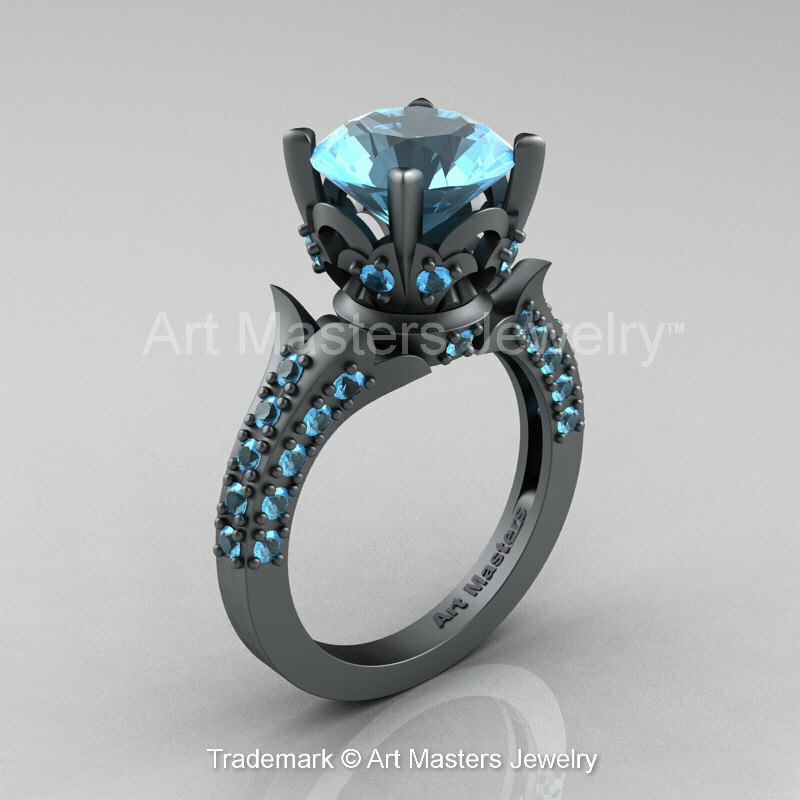 Be the first to review “Classic French 14K Grey Gold 3.0 Ct Aquamarine Solitaire Wedding Ring Wedding Band Set R401S-14KGGAQ” Click here to cancel reply.